Fertile, Minn. (January 5, 2015) - Round 2 of the Christian Brothers Racing cross-country schedule took place this past January 3rd on Big Detroit Lake in the heart of the vacation community of Detroit Lakes, Minnesota. Riders tackled a 10-mile ice-lemans style course that featured a mix of tight and sweeping turns mixed in with wide-open straightaways, one over a mile long. Speed and setup were key, and the CBR team came well prepared. While Saturday dawned with fair weather, a cold front blew in during the day bringing strong, bitterly cold winds and blowing snow. It created a bleak yet picturesque backdrop for the grueling ice race taking place. 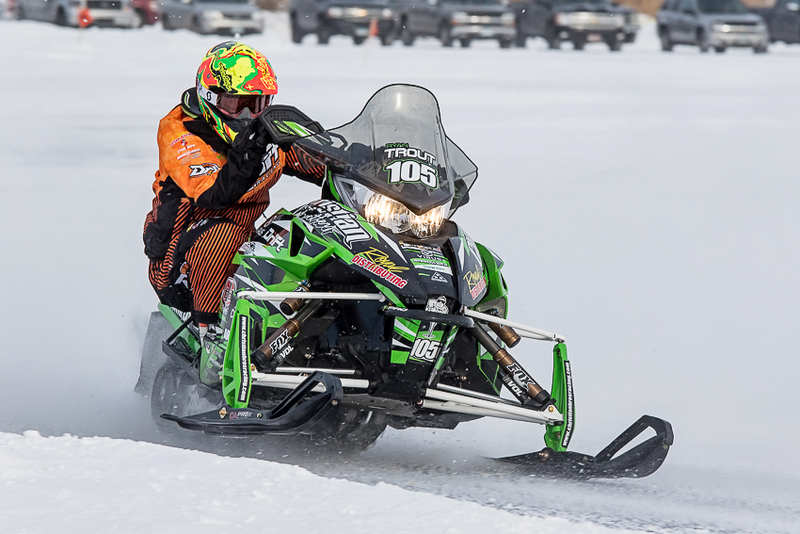 DRIFT Racing/Arctic Cat rider Zach Herfindahl finished 20-seconds ahead of second place in the premier Pro 600 class, laying down consistent top lap times throughout the 100-mile race. Herfindahl took second in Pro Open just under six seconds behind the top finisher in the class. Herfindahl's finishes leave the defending Pro 600 points champion sitting in second place in the class and first place in Pro Open. "Detroit Lakes was a really fun race," said Zach Herfindahl. "The team had the sled dialed in and I felt really good on it. A win and a second - things couldn't have gone much better!" 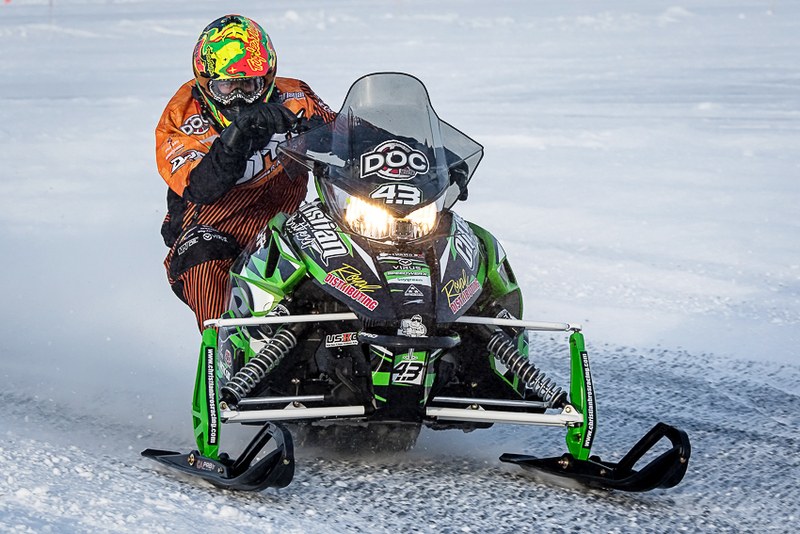 With another weekend off from snocross racing, DOC 360/DRIFT Racing/Arctic Cat rider Logan Christian took to the ice again at Detroit Lakes and improved his finishes from Pine Lake a few weeks ago, taking 11th in Pro 600 and 16th in Pro Open. 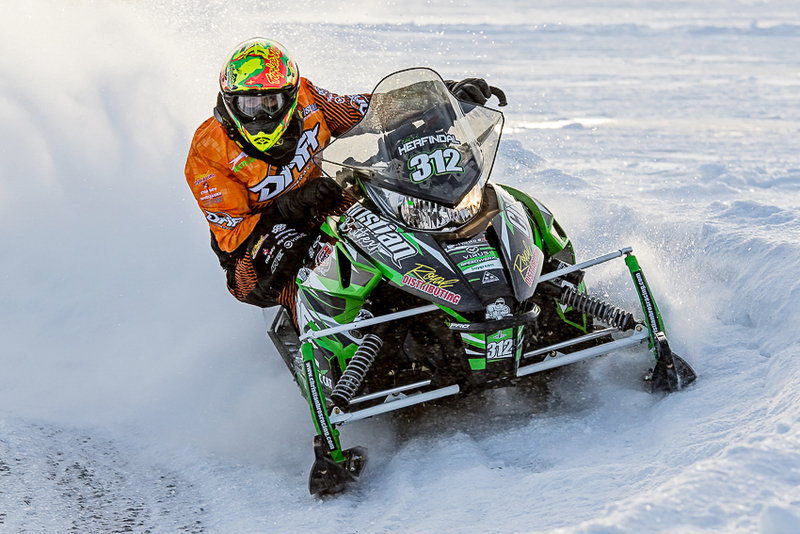 Christian will return to snocross competition this coming weekend at the ISOC National scheduled to take place in Shakopee, Minnesota. "Ice racing has been a challenge, but it's also been a lot of fun," said Christian. "The wind was crazy on the lake and sometimes visibility was bad, but we got some good results and the team worked hard. Overall I?m happy and ready to get back to snocross." CBR Semi-Pro rider Ryan Trout claimed two Top 10 finishes on the weekend, placing 10th in Semi-Pro 600 and 7th in Semi-Pro Open. After two rounds, Trout currently sits in 9th place in Semi-Pro 600 points and 5th in Semi-Pro Improved points. "We had some fast laps and the weekend went really good," said Trout. "Semi-Pro is really competitive and I'm pretty happy with where I'm at so far. The team gives me a good sled and results will only get better."